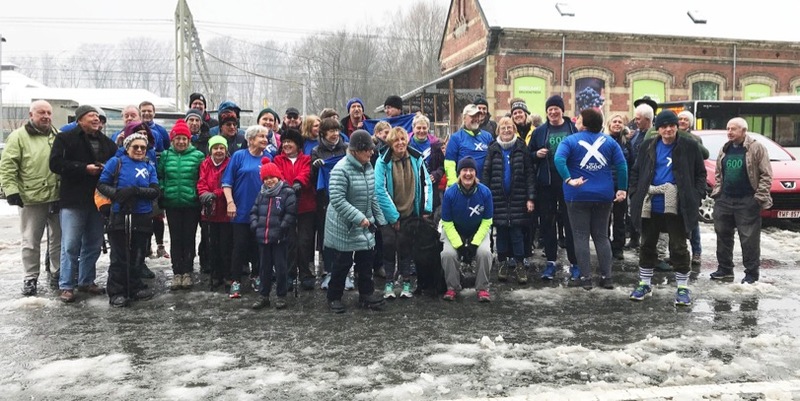 The Brussels Hash House Harriers run every Saturday at 15:00 from different locations in and around Brussels. Hashers take it in turns to choose the location and to lay a trail with flour which is designed, through false trails, loops and sheer devilry, to keep the fast and the slow, the active and the lazy, more or less together. Think of it as a paper chase for grown-ups, with lots of stops, and you’re getting the idea. We have just one rule – there are no rules. No membership, no fees, and certainly no committees. The ‘après’ – beer, water, bread, cheese (and sometimes more) – normally lasts longer than the run and is hosted by the layers, either from the home of one of the layers or from a car park. But don’t worry, you won’t have to ‘volunteer’ until you’re truly addicted, and then only 2 or 3 times a year. We’ve been going since 1980, so we must be doing something right!
! ! ! HARES WANTED ! ! ! go to next hash and select your date!